We provide made-to-order breakfast burritos, yogurt parfaits, oatmeal, granola bars, assorted cereals with milk, as well as fresh baked goods, delivered daily from Bread LA. In addition to the classics—burgers, chicken tenders, French fries (using trans-fat free oil), sandwiches and salads—we provide a variety of freshly made hot entrees, including Asian and Latin specials and themed menus reflecting seasonal and campus events. In addition, we offer a number of healthy retail snacks and beverages. 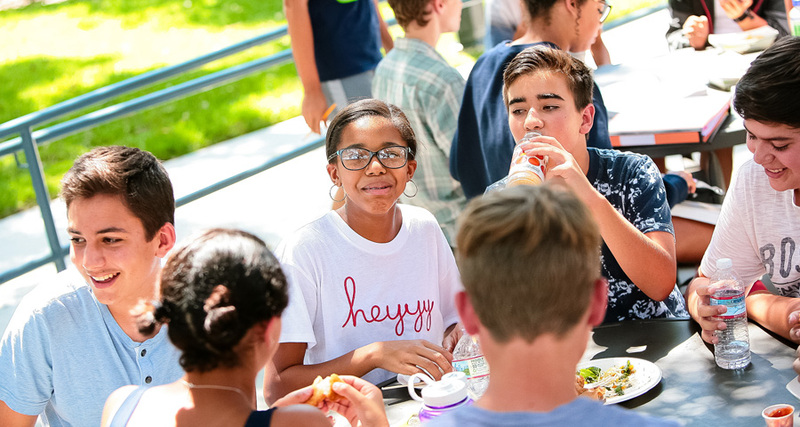 We have the flexibility to make changes based on student and parent feedback, and we value the opportunity to use our menu to contribute to the life of the school. We use local vendors to help reduce our carbon footprint. In addition, we use biodegradable disposable goods, such as corn cups, utensils and food containers.